Students from the PAC Horticulture Club compete in the PLANET Student Career Day. Photo courtesy of the Horticulture Club. 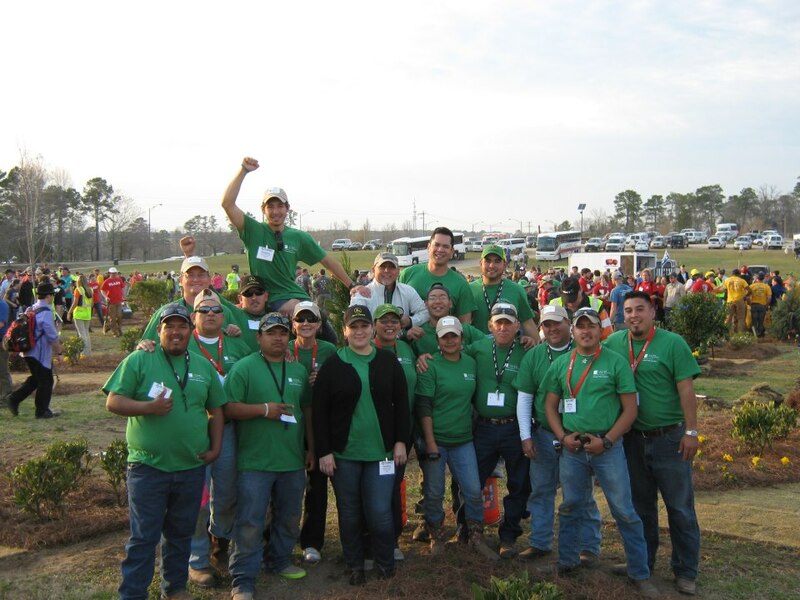 Palo Alto College’s Horticulture Club placed 29 out of 63 teams at a national competition held at Auburn University in Alabama this spring. Williams has been teaching Agriculture and Horticulture for 16 years at PAC. His favorite part of teaching is “seeing the students becoming confident enough in their skills and knowledge about horticulture to answer questions from people, go to work in the industry, become certified in different areas and succeed in their jobs or in the businesses they run,” said Williams. The club placed in Sales Presentation, Landscape Maintenance Operations, Construction Cost Estimating and Truck and Trailer Operations. PAC’s Horticulture Club is one of the many on-campus clubs that is rapidly growing. The associate’s degree of Applied Science in Landscape and Horticulture Science is offered to students who want to start a career in growing plants, creating landscapes and improving the environment. Accredited by the Professional Landcare Network (PLANET), PAC faculty and students participate in community projects that show students how to create and maintain healthy, green living spaces across the United States. Fukuda, a 52-year-old college freshman, said that his favorite aspect of horticulture is propagation, which is the process of creating new plants through seeds, cuttings, bulbs and other plant parts. In the past year, PAC’s Horticulture Club has completed community service projects at the Schultze House Gardens in HemisFair Park and planted a butterfly garden at Crockett Park as part of a community initiative of the City of San Antonio and Project Evergreen. A member of the club for two years, Sophomore Richard Mendez, 27, is now president of the Horticulture Club. Students interested in this career can choose from many certificates and degrees. Visit http://alamo.edu/pac/landscape/ and http://alamo.edu/pac/turfgrass/ to learn more. Classes consist of book work as well as a lot of hands-on learning in the on-campus greenhouse and participation in projects around the city. For more information, please contact Kirk Williams at kwilliams@alamo.edu or (210) 486-3073.